Posted on 28, October 2016 by EuropaWire PR Editors | This entry was posted in Chemicals, Education, Netherlands, Science and tagged folded proteins, Hsp70 protein, researchers, Sander Tans. Bookmark the permalink. 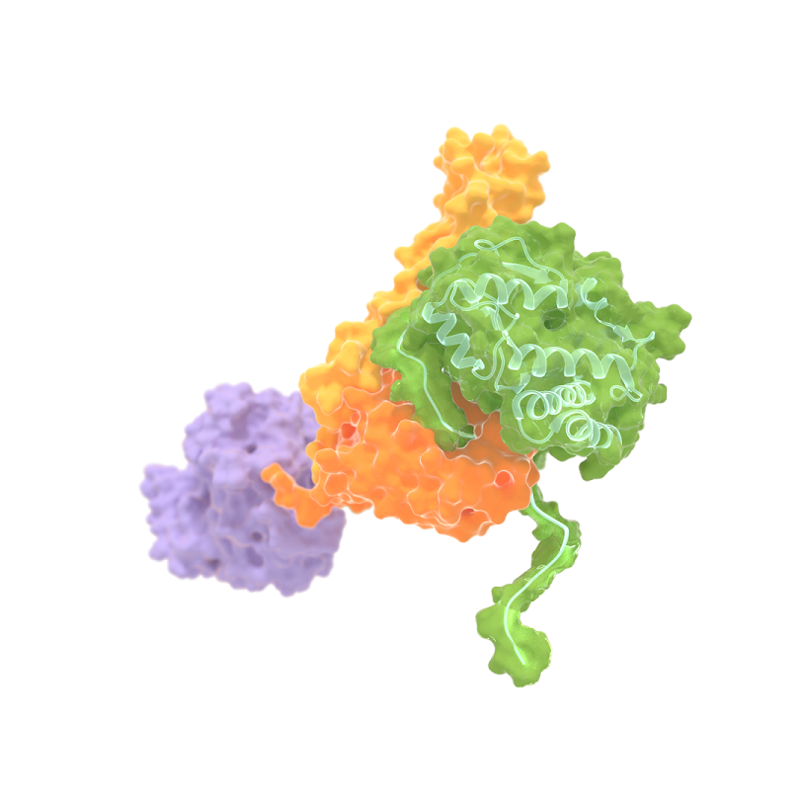 Artist impression of Hsp70 that clamps a folded substrate protein (green) between two domains (orange and yellow). The third (purple) is the ATP binding domain of Hsp70. Tans and his colleagues discovered that Hsp70 not only binds unfolded chain segments, which destabilizes folded proteins. It can also do the opposite: to bind and stabilize folded protein states. This finding has implications for the many physiological roles of Hsp70 in cells. New insight into how the chaperone protein Hsp70 works. AMSTERDAM, 28-Oct-2016 — /EuropaWire/ — On October 26th Nature will publish a study that overturns the decades-old textbook model of action for a protein that is central for many processes in living cells. Researchers at the FOM Institute AMOLF and the University of Heidelberg show that the protein Hsp70 can mechanically stabilize folded proteins using a moveable lid, and thus protect them against stress and damage. This insight into how proteins help each other offers a new perspective on diverse cellular functions and can ultimately lead to a better understanding of diseases like cancer and Parkinson’s, in which failing protein systems are central. This was a surprising result because the textbook model of Hsp70 says that the chaperone likes to bind to extended peptide chains. These chains are exposed when a protein is first made or when it gets damaged. Thus, according to the existing model Hsp70 stabilizes the stretched and unfolded state of a protein, but not the folded state in which the peptide chains are folded up. Tans’ research was partly funded by the division Earth and Life Sciences (ALW) and the foundation for Fundamental Research on Matter (FOM) of the Netherlands Organisation for Scientific Research (NWO).